2019 FOREST RIVER SUNSEEKER MERCEDES BENZ DIESEL 2400WSD CLASS C MOTORHOME - This full body painted RV comes with a large single slide runs along the driver's side allowing for open and spacious living! 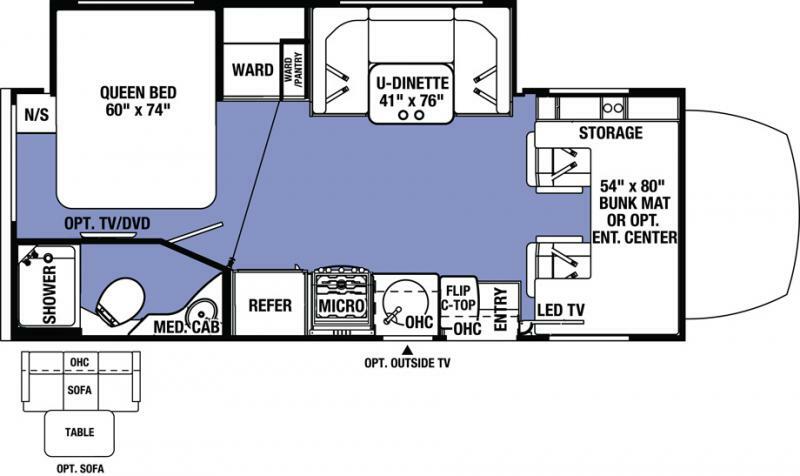 In the slide is a queen bed, wardrobe closet, and a comfortable sofa w/ removable dining table. The sofa folds out into a sleeping space or two and don't forget about the bunk over the cab area! The kitchen is perfect for cooking up your favorite family meals. The rear bathroom is complete with a shower, sink, and toilet!